Pet Odor Treatment Atlanta. Do It Right. The canine sense of smell is a hundred times more powerful than that of a human being. Perhaps, pet’s urine smell goes far beyond the homeowner embarrassment. The smell of pet’s urine can ruin the value, beauty and comfort of a home. It even becomes worse especially when one is staging their home for sale in the real estate market. It may not only deteriorate the price due to declined value but also scare away potential buyers. It can be very challenging to control pets even if it is a veteran at using the litter box. Just like elderly human beings, aging pets occasionally have accidents and can damage the look and appeal of a home’s carpet. The best way to prevent all the mischievous pets from ruining the appeal and value of a home is finding the reliable pet odor treatment and removal service. 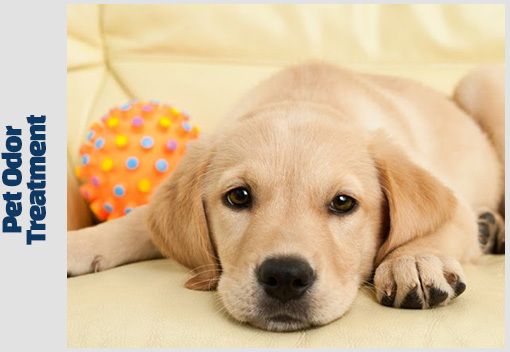 There are various benefits one can enjoy in hiring a pet removal service. 1. Professional pet odor removals are needed for the removal of stubborn and unpleasant smell that cannot be removed by the homeowner. Pet odor removal is an overwhelming and challenging task that requires the services of skilled personnel. It can easily get into one’s nerves especially when dealing with the stubborn smell on carpets and floors. The Institute of Inspection, Cleaning, and Restoration (IICRC) certify clients in this task. Professionals certified by this body possess the ideal tools and cleaning methods that ensure all stubborn odor and terrible smell are eliminated completely. This is beneficial in promoting family’s health through the removal of airborne contaminants. 2. They have access to a broad scope of odor removal and treatment products. Certified technicians use high-quality pet odor removal products that penetrate surfaces and neutralize the bad smell of pet’s urine. Different materials have different cleaning properties. Sometimes other methods may not work well with other materials in a home. This is why professional cleaning experts are critical in providing a homeowner the best cleaning techniques that work best. Carpets, fabric, ceramic, and wood, are all different surfaces that require different cleaning methods. Finding the right cleaning technique is critical in completely removing the foul smell. 3. Professional pet odor experts are capable of handling all kinds of odors whether from pet’s urine, chemical decomposition, fire and smoke damage, mold and much more. This means they are prepared for any job regardless of the source of the bad odor. 4. Technicians that are trained in pet odor treatment and approved by the IICRC are well acquainted with the four principles ideal for eliminating unpleasant pet urine smell. The first step to complete odor treatment is locating and destroying the source. This is then followed by thorough cleaning of whole the affected surfaces. Carpets are the main surfaces affected by bad odor. Furniture, drywalls, and clothing are other critical spots affected by bad odor and should be addressed too. Pet’s urine contains ammonia, hormones, nitrogen, bacteria and uric acid. This combination can result in a lingering smell that persists even after being cleaned using ordinary cleaning methods. This is why professional cleaning service is key in restoring a home to its tip top condition. Thorough pet urine removal is also a crucial step in potty training a pet. If a pet returns to the same spot and finds traces of urine, they will do it over and over again. Professional pet odor cleaning is thus essential in teaching one’s pets. The fact that pets can mess does not mean that they should not be tolerated in homes. Addressing the problem as soon as it is noticed is highly prized in promoting the health of family members. Pet Odor Treatment Atlanta has the needed experience in providing state-of-the-art pet odor removal and treatment services. They have the most affordable pet odor treatment services that suit any budget. They are timely and are available for consultations, flexible bookings and much more. They handle any pet odor treatment project regardless of the severity of the smell. Besides the pet odor treatment, they also offer other cleaning services such as carpet cleaning and much more. Find the cleaning experts that are willing to deliver excellent cleaning service within the least turnaround time today. Perhaps, it is the best step a homeowner can take not only in safeguarding the value of their home but also in promoting healthy living.